It depends on the type of permission set. 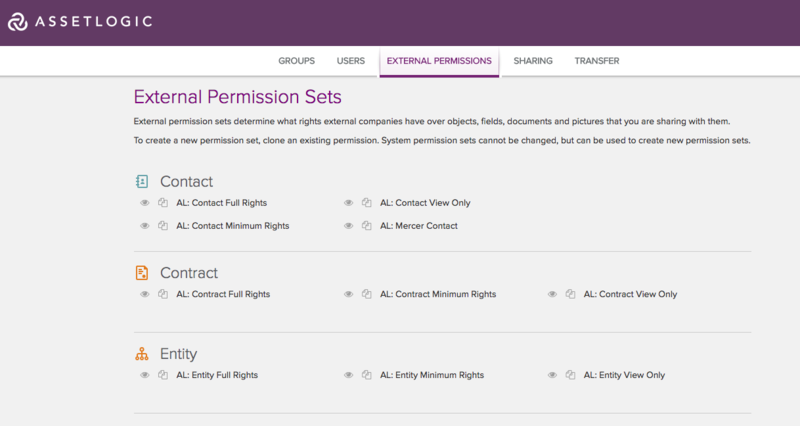 In any case, first go to the Admin section of AssetLogic and select External Permissions on the navigation bar. How do I create a custom permission set? Can I bulk upload data?